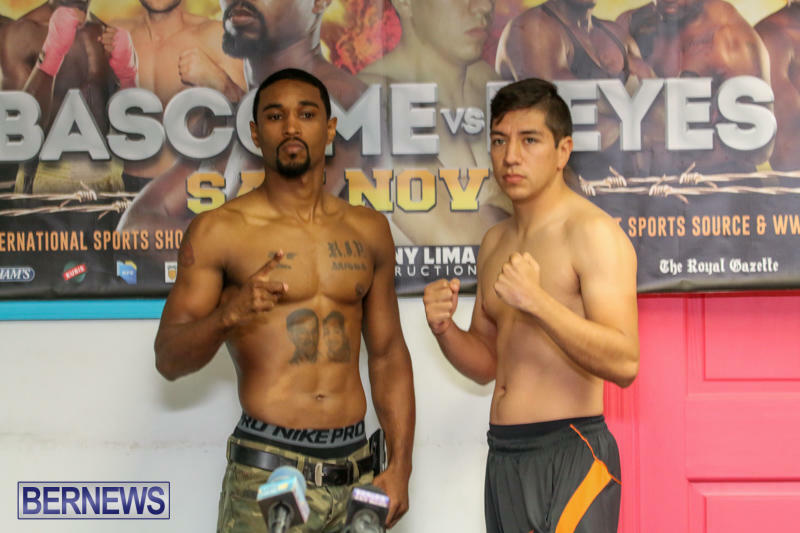 Pro boxer Nikki Bascome and his opponent Mexican fighter Pilo Reyes, were officially weighed in today [Nov 6] ahead of their upcoming fight, with the match set to take place tomorrow [Nov 7] at the Fairmont Southampton. 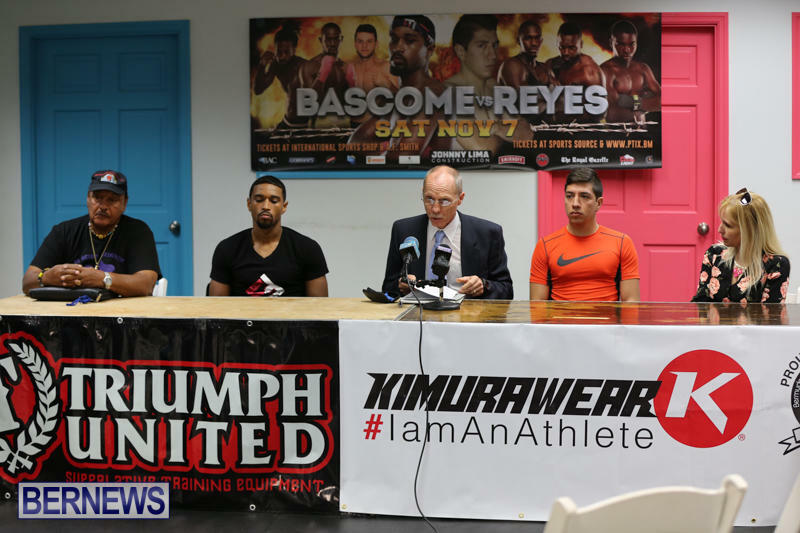 The two are set to meet in the ring as the highlight of a 10-bout fight card where Bascome has his eyes on remaining undefeated and running his record to 4-0, loving the advantage of boxing in Bermuda. 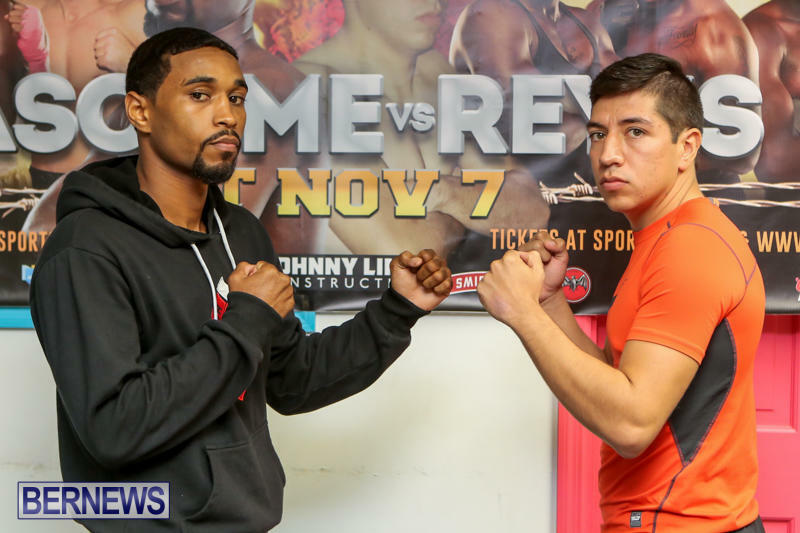 The welterweight fight restricts fighters to an upper weight limit of 147lbs. 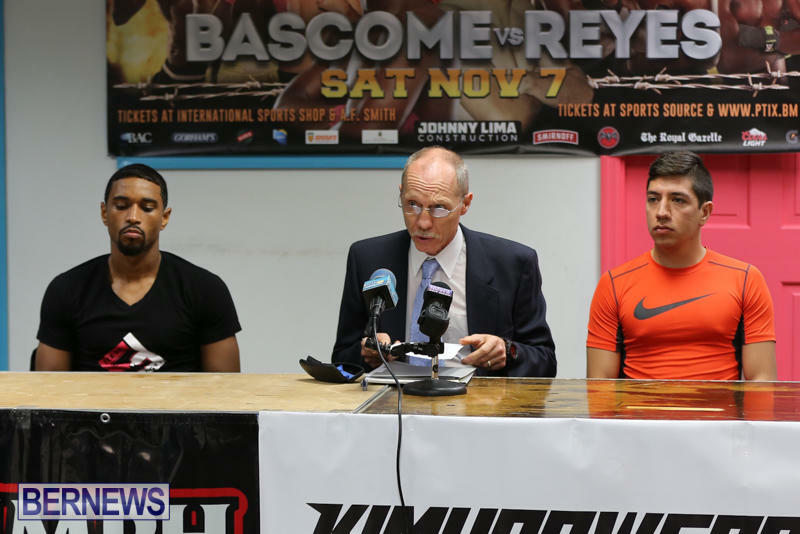 Pilo Reyes weighed in at 140lbs while Nikki Bascome weighed in at 145.5lbs. 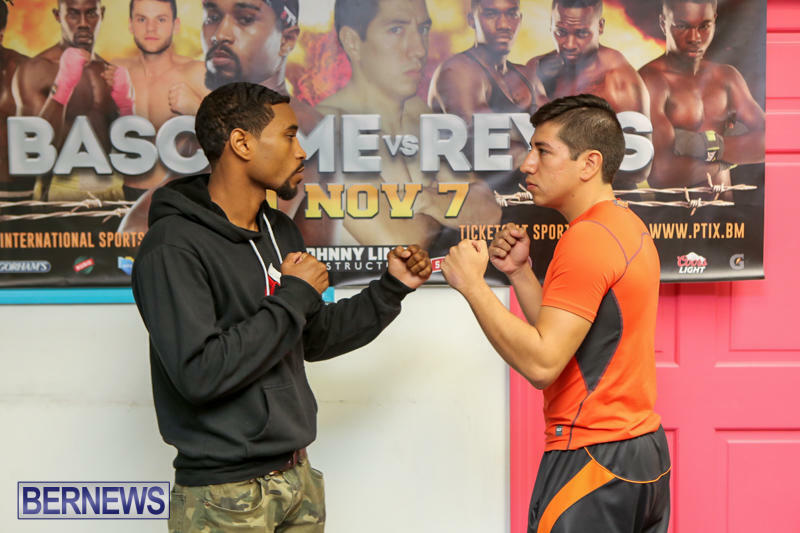 Highlights on the undercard include undefeated Corey Boyce taking on Canadian Daniel Avrem and a rematch between Shannon Ford and Stefan Dill. The doors will open at 7pm with the first bout scheduled for 8pm. Tickets are $60 for General Admission while Ringside tickets are sold out. Tickets are available at AF Smith, International Sports Shop, Sports Source Washington Mall and online at www.ptix.bm.